Beets are earthy and dark purple. 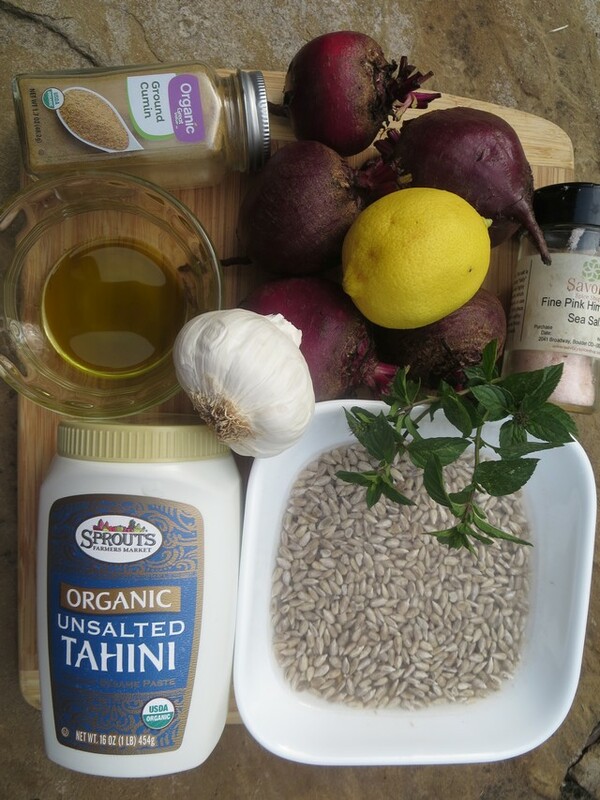 Add some fresh lemon juice to brighten their flavor and some spices to add interest to this hummus made from the base ingredient – roasted beets. 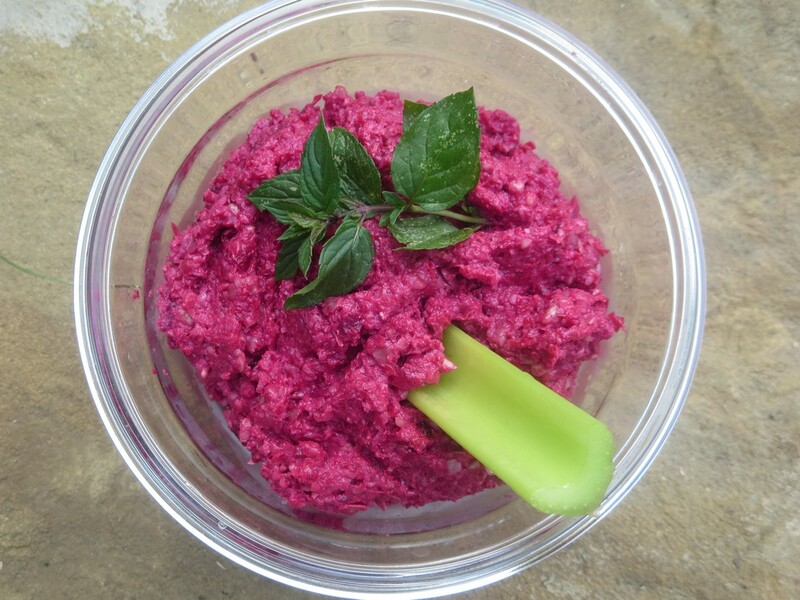 I find that even people who adamantly dislike beets like this recipe. 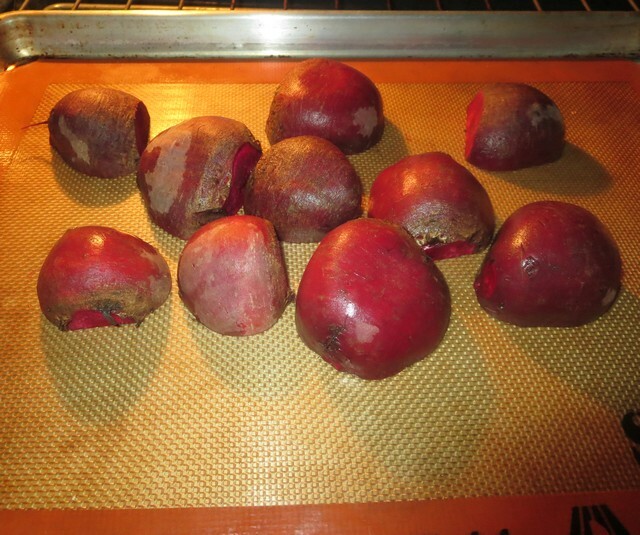 *To roast beets: preheat oven to 3750 F. Cut off leaves and stems, scrub the roots clean, slice them about 1/2 inch thick, brush with 1 tablespoon melted coconut oil, arrange on a cookie sheet and roast for put them for about 35-45 minutes or until fork tender. Cool to room temperature. Remove any tough outer skin. 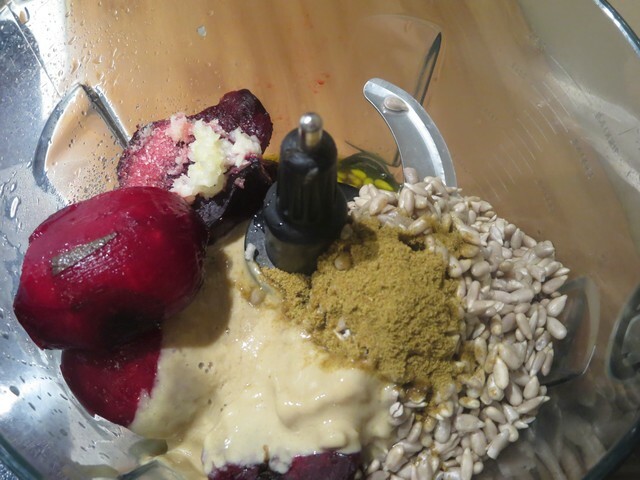 Place all ingredients in a food processor (or blender) and pulse until smooth. Taste and adjust seasonings and ingredients as desired. Chill for 3-4 hours before serving. Store in the refrigerator for up to 3 days. I always freeze half of this recipe to eat later. Serve with crudités such as sliced cucumber, carrot sticks and/or celery sticks. You can also use a good gluten free cracker such as Simple Mills.